During fire, your workforce should be able to identify the fire warden quickly. 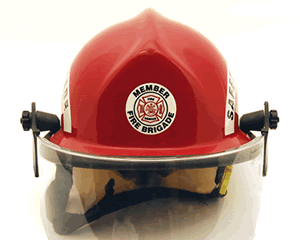 This crescent-shaped rocker decal is great for any helmet or hard hat of the fire warden. • Reflective material is great for spotting the fire warden in power cut or nighttime. • 3M's Scotchlite material designed specifically for application to curved and irregular surfaces offers superior outdoor durability.